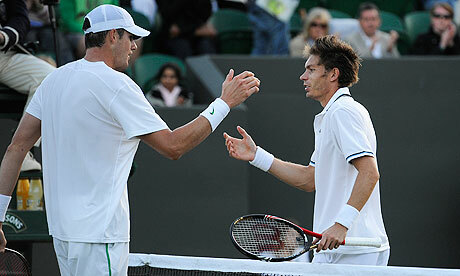 Unless you were living in a cave during Wimbledon 2010 you would have undoubtedly heard of the marathon fifth set in the match between John Isner and Nicolas Mahut which finished 70-68 in the fifth set lasting over eleven hours in total with both players hitting over 100 aces each. Everyone was talking about it, even non-tennis fans were talking about it the next day and it even made the national news in the UK. Tennis never makes the national news unless its Andy Murray or another British player. This goes to show just how much of a big deal this match was to the British public. Even now three years on, whenever either Isner or Mahut’s name is mentioned commentators always talk about that match above anything else that both have achieved in their careers. This match broke many records including the longest tennis match ever, the longest set ever as well as the highest number of combined aces in a match amongst other records. The quality of tennis suffered majorly well before the 30 game mark in the fifth set and after that it got a little bit ridiculous. The only thing positive about the match lasting so long was that it was a once-in-a-lifetime opportunity to see grand slam tennis pushed to its extremes, which is probably never going to happen again in the future of Wimbledon or during either of the other two Grand Slam events that implement the no tiebreaker rule in the fifth set. 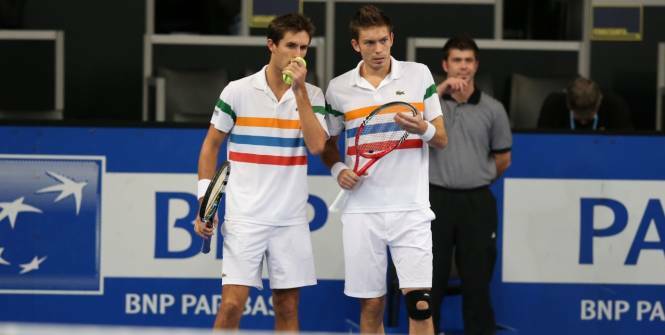 Fast forward to July 2013 at the ATP 250 tournament in Newport, Rhode Island in the USA, in the semi finals there is a chance for the commentators to get what they have been salivating about since the draw came out – an Isner-Mahut final. 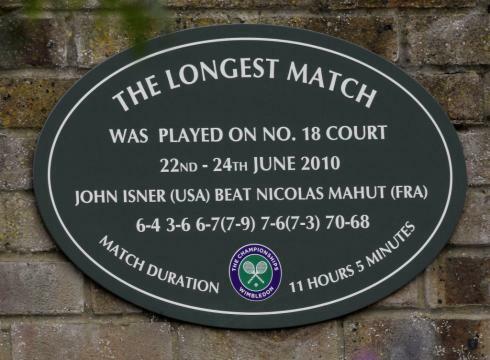 They did play on grass again at the Wimbledon Championships the following year in the first round but this was much much quicker with Isner coming away the victor once again but on this occasion it was a lot easier winning in straight sets in a mere two hours and three minutes. A sprint compared to the marathon fifth set alone which lasted eight hours. For the final to happen, John Isner needs to beat Australian grass court legend former Wimbledon champion Lleyton Hewitt. This is not a task to take lightly for any player especially not Isner who had to pull out of Wimbledon this year during his second-round match vs Adrian Mannarino with a knee injury. Only two weeks later Isner may not be 100% and to beat Hewitt on grass you need to be as near to your best as you can be. Nicolas Mahut is already through to the final having beat American first time Newport semi-finalist Michael Russell earlier today. Adding to this is the fact that Mahut may have to play a total of four matches today as he is also still in the doubles draw with fellow Frenchman Edouard Roger-Vasselin, because of torrential rain yesterday the doubles are also backed up with the players having to play both the semi-finals and the final today. Mahut may well decide that singles is more important and withdraw from the doubles semi final to give himself time to prepare for the potential final between either Hewitt or Isner or he may decide to play given that hes got this far. 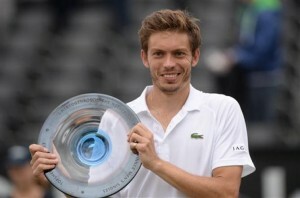 Nicolas Mahut has to be feeling good about his chances of winning Newport especially after having a fantastic grass court season this year with Nicolas picking up his first ever ATP singles title in ‘s-Hertogenbosch in the Netherlands defeating Stanislas Wawrinka in the final in straight sets in very impressive fashion. One thing is for sure, whoever he faces be it Hewitt or Isner, Mahut will give it everything hes got as always and his serve and volley grass court tennis will be a joy to watch. What will happen in the final is anyone’s guess with all three of the potential winners playing well this week on the grass courts of Newport, one thing is fairly certain though – There will be a winner by nightfall.